How do you measure your event success? 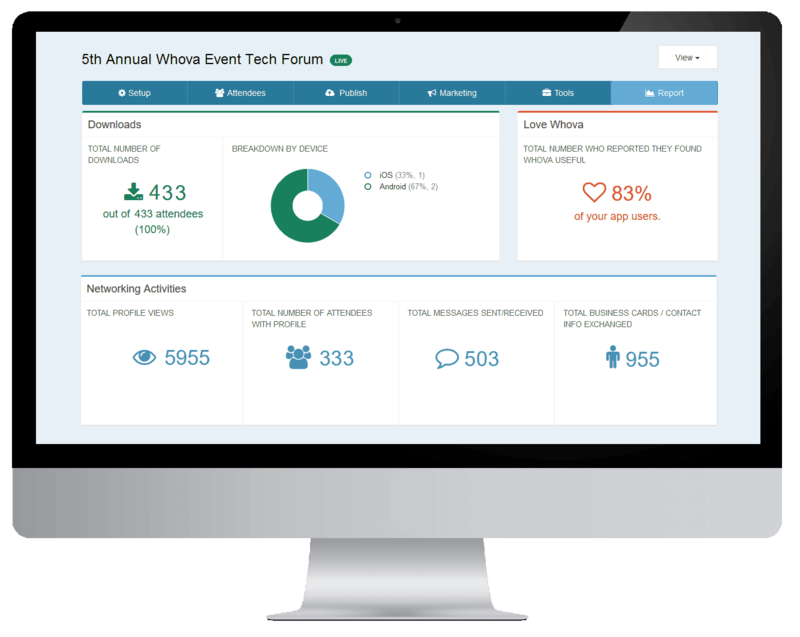 See everything about your event, from insights to detailed statistics, with one glance on the Whova dashboard. Show off to your event committee, sponsors, and PR. Provide a report that demonstrates how well you engaged participants, created valuable experience, and increased event ROI. 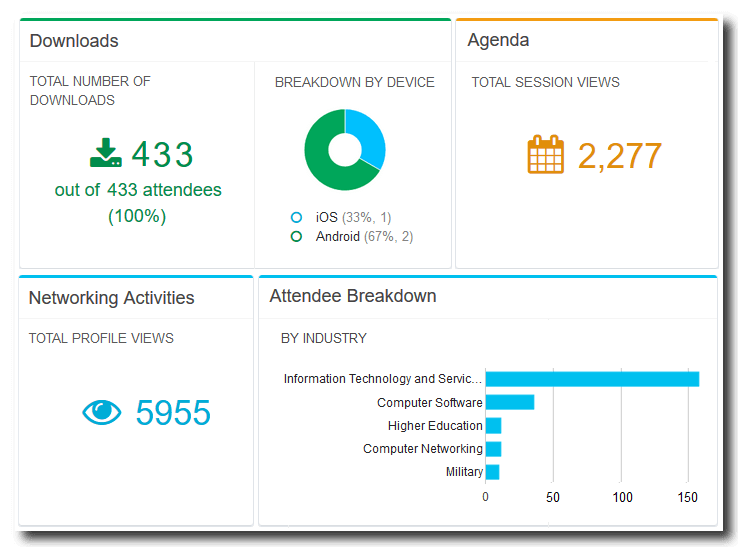 Stay informed with real-time event data including ticket sales, attendee check-in progress, live polling and survey, gamification activities, and much more!